Having a piece of cardio equipment in your home is absolutely awesome. It definitely makes getting a workout in with a tight schedule possible. Rowing machines blow most treadmills and ellipticals away in terms of calories burnt, and you can get interval training done which is almost impossible on elip/tread workouts. 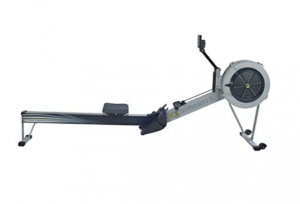 The price point is also important because the moving parts and stress points on a rower take much less of a beating than other style machines. So for what you’d pay to get 5 years out of an elliptical, you’ll be leaving your concept rower to someone in your will.